else you want to display your hours. Need a hours of operation sign for your business? 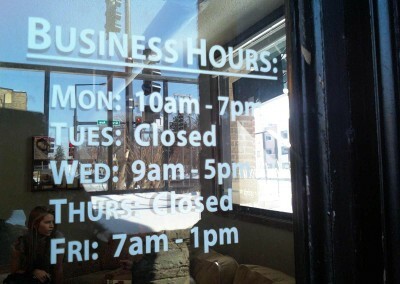 Displaying your hours of operation for potential and existing customers can be very important. Although the internet is a useful source of information it may sometimes be incorrect. Some customers may find your business outside of normal business hours and want to know when they can come back. 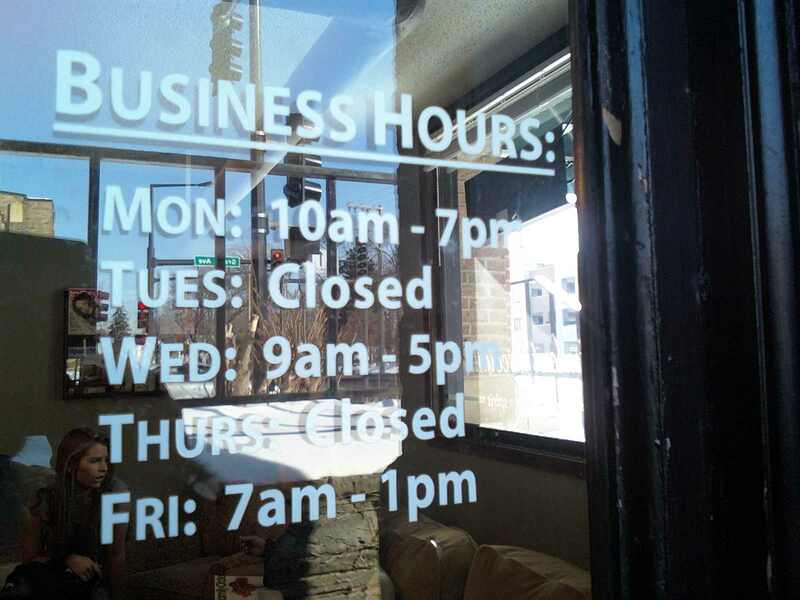 Make sure your customers know when they can get service from your business with a business hours sign. These signs can be displayed in your window, door or any other surface. Along with your store hours we can also combine other elements such as branding or a logo which can be helpful to providing brand reinforcement to passerby’s. Just let us know what you have in mind and we’d be happy to have our expert design team help. To make sure your customers are informed of vital information such as hours of operation, trust in us to create the signage. For a free quote please use the form to the right. If you have any questions or would like to speak to an expert, just give us a call at (840) 749-4000. We look forward to assisting you!